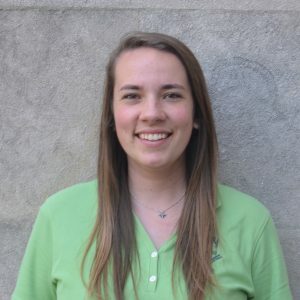 Jocelyn is from Danville, California and went to the University of Delaware where she studied elementary education. She will be living in San Diego serving as the kindergarten to eighth grade gym and computer teacher at St. Patrick’s School. She is most looking forward to exploring Southern California with her community. I, Jocelyn Cooke, commit myself to be an Augustinian Volunteer, to live in community, and serve my students in a way that exemplifies Jesus’ love for each of them. I had lots of opportunities for service in high school through my youth group. One summer I spent a week in the city cleaning up and repairing a school. I liked knowing that I was making a difference for so many people even though I didn’t get to meet them and I liked the bond that I formed with the people who were serving with me. An issue I am passionate about is how much of a disparity there is in terms of access to education. Students can be at a disadvantage simply because of where they live or what kinds of resources their school has. I think that every child should be able to receive a quality education. I’ve loved cooking with my community. I like that we are so close to the beach and that it’s nice enough to eat dinner in the backyard.